Windows Live Family Safety is a part of Windows Essentials package and have the best results if you will use it on Windows 8 or a newer version. The parents will install the application on computers used by children and will manage their access to websites and computer. The management (restrictions, reports ..) and settings can be done through an online interface. Here you can view all visited websites, block or allow URLs, block applications and games. Once you apply some settings and filters, you need to access again the monitored device and login to your Windows account, in order to refresh the data and to apply the new settings. 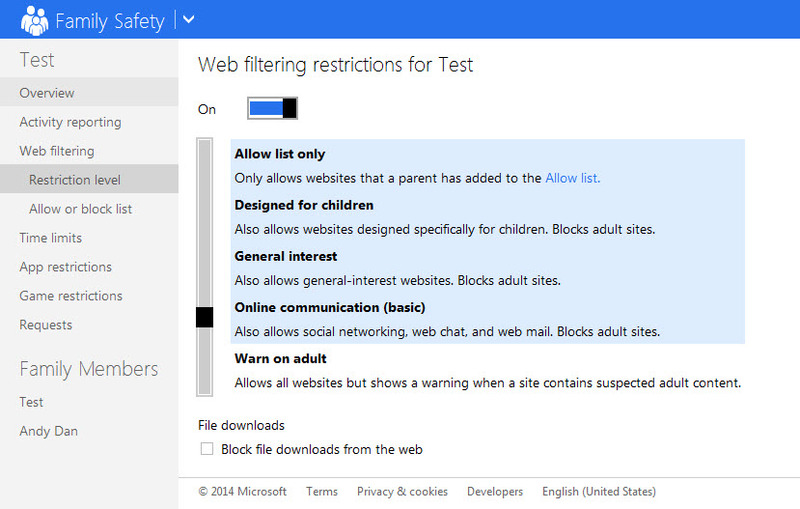 There aren't different categories of websites, but you can choose a level of filtering. The application is focused to block adult websites and include all sites from this category when you choose a restrictive filter, but you can add manually other URLs or block/allow them from the reporting area. The program can block all downloads from the web. 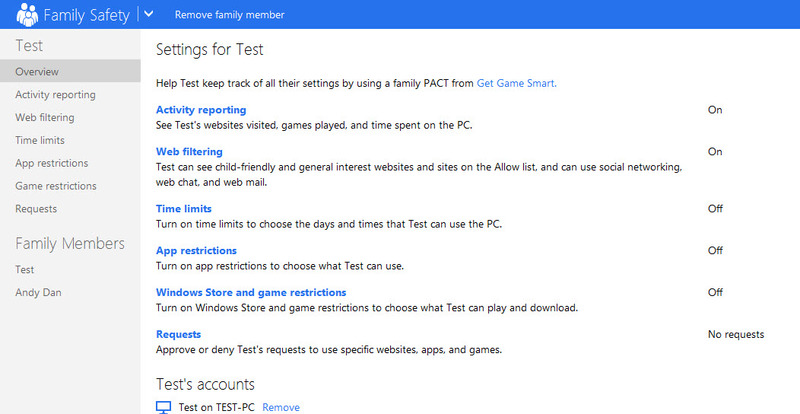 You can block games and applications (you will view a complete list with all installed apps). It is able to track and report all visited websites and programs used. The program can be turned off only with an username and a password. For any changes in your online account, in order to be applied on the monitored device, you need to access this device, then login into application and refresh the settings. Reports and settings can be made by the administrator (parent) through an online account, so you can access it from any place. It displays charts, the name of applications and websites and the precise time for each use. You can set how many hours a device can be used per day and set exact hours and days when the child cannot use the device at all. 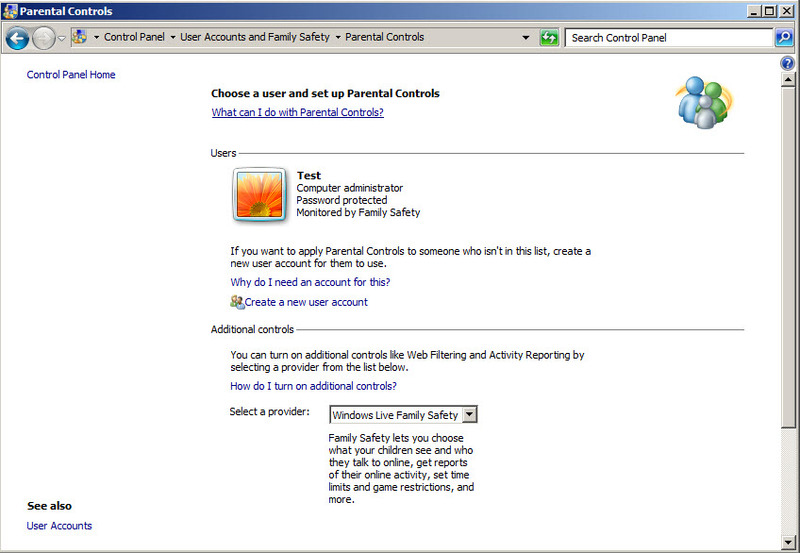 Windows Live Family Safety can schedule only the use of computer, not only the internet. The application is free and is recommended for Windows 8 or newer versions. Is focused to block the adult websites and time spent in front of computer.